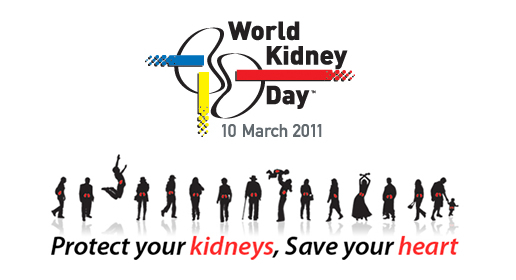 There are currently over 240 million people with diabetes worldwide, out of which 40% of people will develop Chronic Kidney Disease. More worse is the no. of persons suffering from High Blood Pressure, which stands at around 1 billion people globally, a major risk factor for Chronic Kidney Disease. In Pakistan, it is said that around five million patients suffer from kidney-related diseases and around 0.2 million people contract the disease every year. 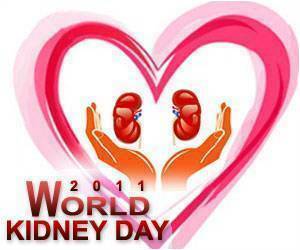 How to care for Kidneys ? -If you suffer from Diabetes or Hypertension, controlling the blood sugar & blood pressure levels respectively, is the main thing to prevent kidneys getting into the trouble. -Urinary Tract Infection, often presents with burning micturation & the immediate home therapy for it is drinking plenty amounts of water. -Balanced diet & daily physical activity for about 30 mins promote overall health of the body.